Lot 368. 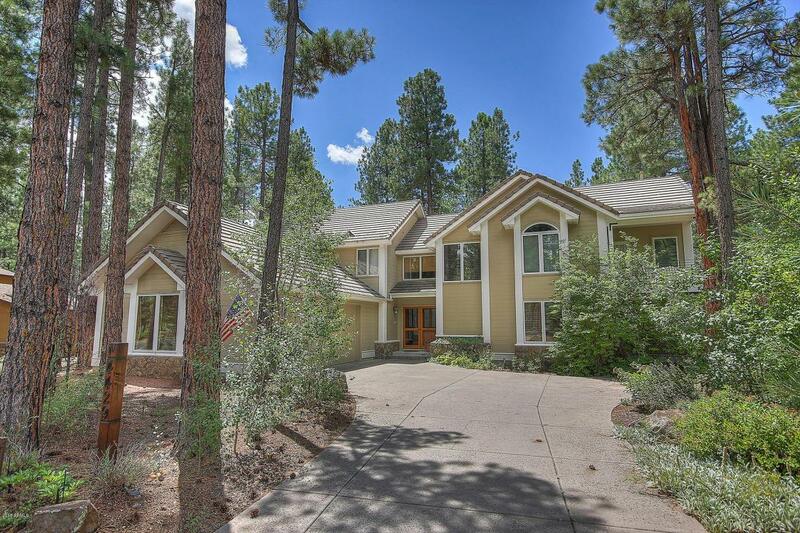 Beautiful custom home in the renowned mountain golf community of Forest Highlands. 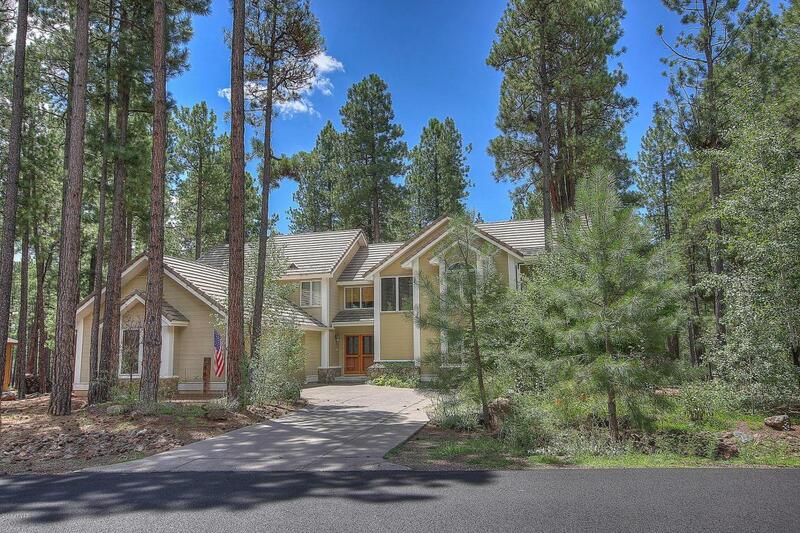 Located on one of the most secluded lots on property, backing directly to privately-owned forest land that will soon be only sixteen, ten acre, high-end homesites, allowing for continued privacy, this home provides a perfect get-away from the busy workweek. 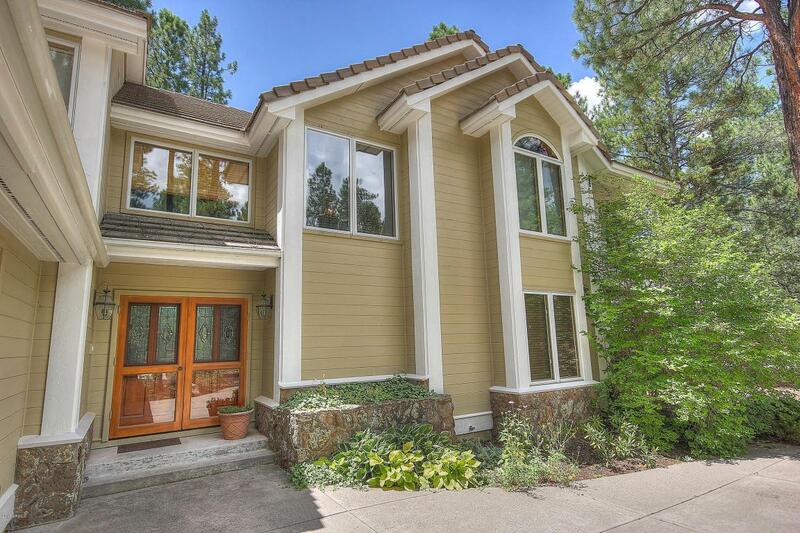 Comfortable with plenty of space for everyone--two of the four bedrooms are large master suites with private baths and each has a bonus room for a home office, nursery or exercise equipment. The additional two bedrooms downstairs are very spacious, each with its own bath. The gourmet kitchen, has built-in Jenn-Air appliances, including two ovens and two dishwashers. The open concept to the great room is separated by an inviting breakfast bar,with granite countertops and a butcher block island. An adjacent wet bar, with room for a large dining table, provides a perfect space to connect while enjoying the incredible forest views out the wall of glass windows. Once the air turns chilly in the evening, enjoy a warm fire in the floor-to-ceiling stone fireplace in the great room. 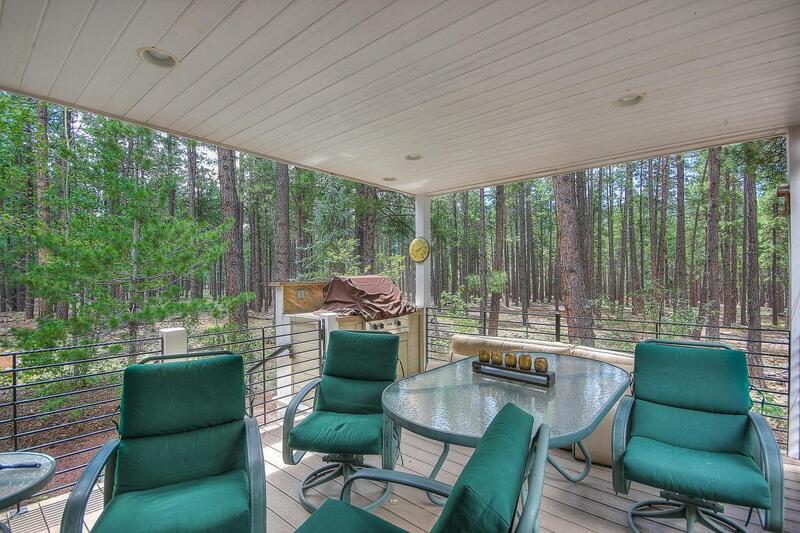 With Trex decking on the upper and lower levels, there is plenty of space to relax in the fresh mountain air, especially when cooking out on the built-in Viking grill, flanked with granite counter. Dual-zone AC and heating systems, as well as tankless water heater serving three of the four bedrooms for the baths, help to ensure everyone's comfort throughout the home.